Every time one of my kiddos turns 5, I build them a Clod. I've only built one for my oldest daughter. My second born daughter just turned 5, so now it is her turn! 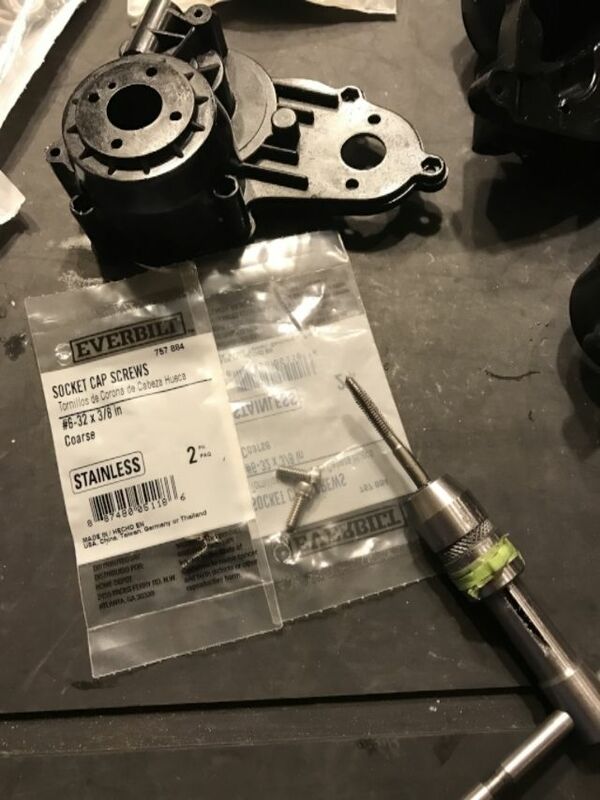 2) Tap the gear boxes to add 6-32 cap screws to allow for quick change axle tubes when they break. This is a super easy mod and super cheap! 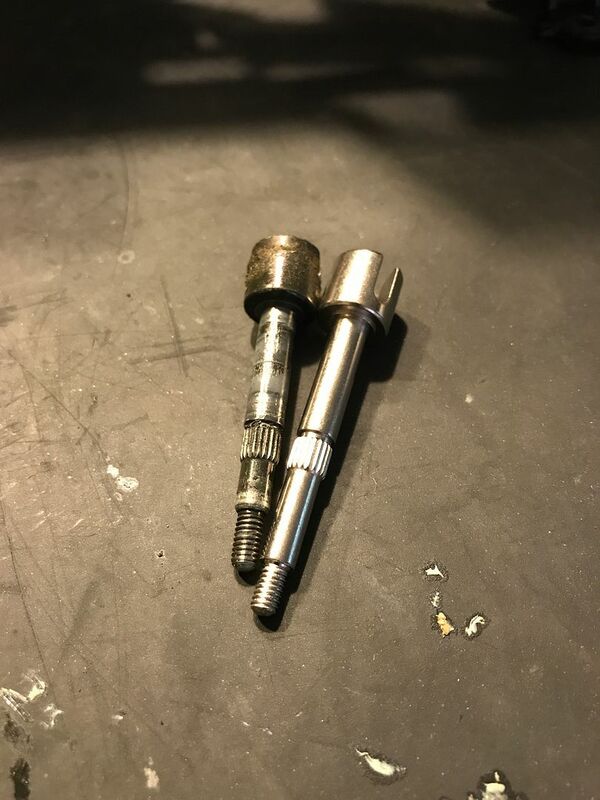 Just go to your local hardware store and buy some 6-32 cap screws that are 3/8" long. 3) I am using an exclusive SWMS Clod shock mount kit for this build. 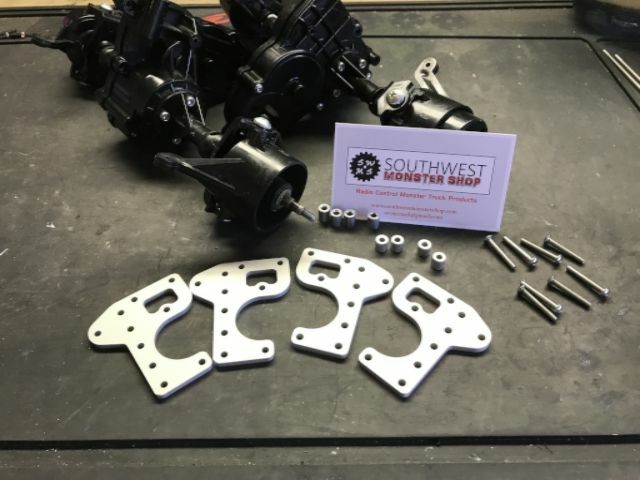 Swing on over to Southwest Monster Shop to check them out. 4) To mount them up, you must drill the bottom hole in the axles tube to slip a screw in. 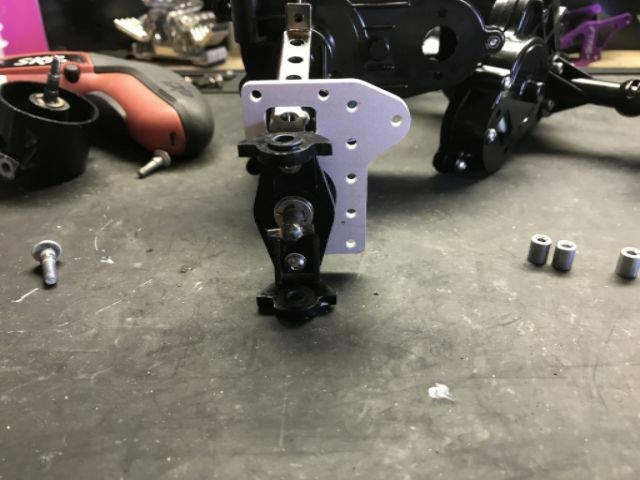 Then the axle brace slips through the shock bracket. 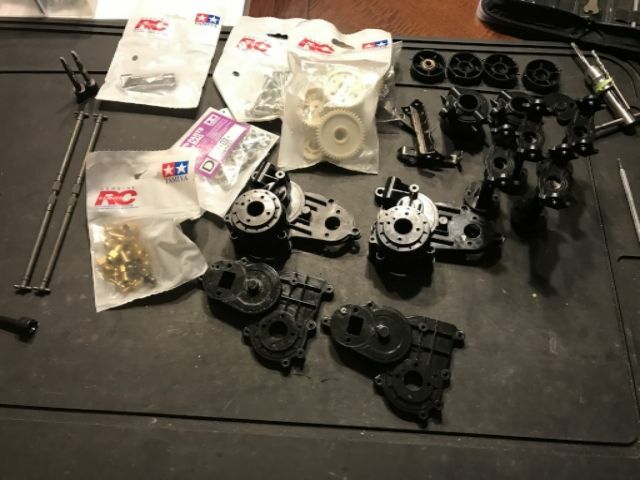 Spacers are included with the kit. Small spacer goes on top and bottom spacer goes on bottom. 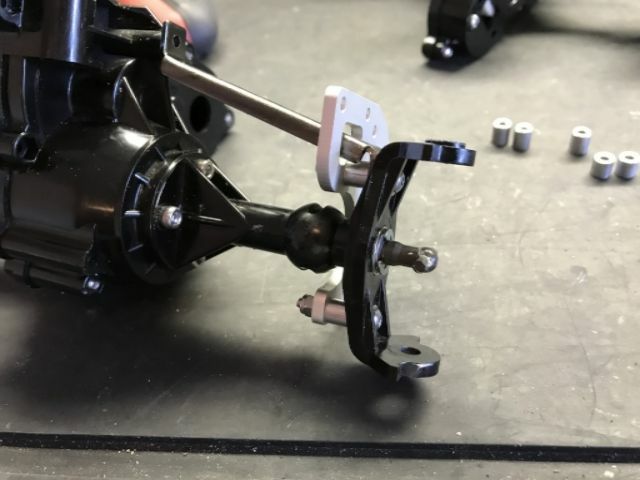 Those shock mounts are pretty cool looking! Cool, thanks! I run them on my KK2 Clod and my other daughter's semi-stock Clod. Good idea on the buildup though, the thread could be used as practical instructions for your gear. I started picking at this project again to try to wrap it up. 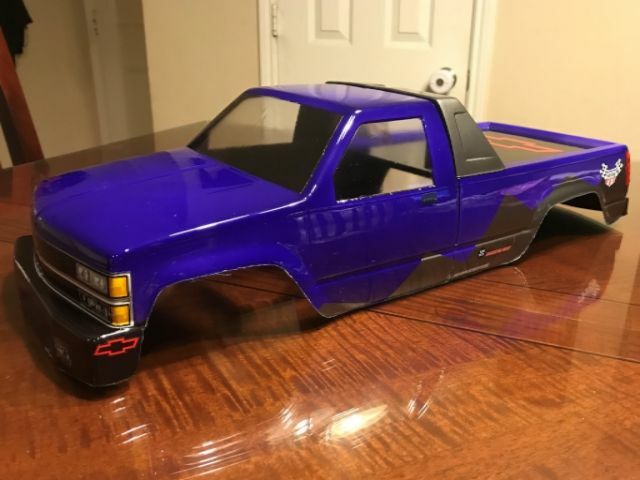 I picked up one of the new JConcepts Chevy 90s body. 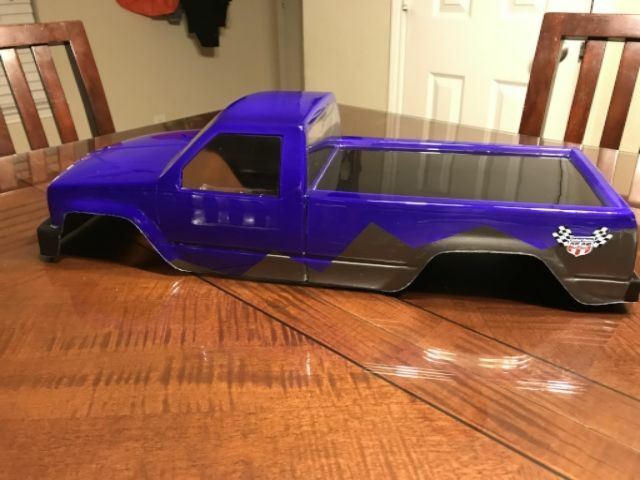 I painted it a metallic purple and silver and added some decals. I love the color combo. I am now waiting on some custom decals for the name. I'm doing a little mod of the stance by doing an old trick. 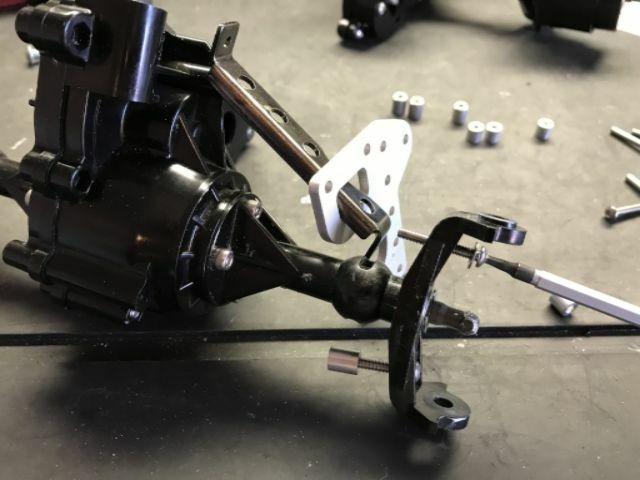 Simply swap Clod wheel axles with TXT wheel axles. This will give a wider stance with no need for wheel wideners. Doing this requires you use TXT hubs.